Pseudoscientific claims that music helps plants grow have been made for decades, despite evidence that is shaky at best. Yet new research suggests some flora may be capable of sensing sounds, such as the gurgle of water through a pipe or the buzzing of insects. In a recent study, Monica Gagliano, an evolutionary biologist at the University of Western Australia, and her colleagues placed pea seedlings in pots shaped like an upside-down Y. One arm of each pot was placed in either a tray of water or a coiled plastic tube through which water flowed; the other arm had dry soil. The roots grew toward the arm of the pipe with the fluid, regardless of whether it was easily accessible or hidden inside the tubing. “They just knew the water was there, even if the only thing to detect was the sound of it flowing inside the pipe,” Gagliano says. Yet when the seedlings were given a choice between the water tube and some moistened soil, their roots favored the latter. She hypothesizes that these plants use sound waves to detect water at a distance but follow moisture gradients to home in on their target when it is closer. The research, reported earlier this year in Oecologia, is not the first to suggest flora can detect and interpret sounds. A 2014 study showed the rock cress Arabidopsis can distinguish between caterpillar chewing sounds and wind vibrations—the plant produced more chemical toxins after “hearing” a recording of feeding insects. 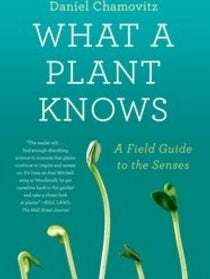 “We tend to underestimate plants because their responses are usually less visible to us. But leaves turn out to be extremely sensitive vibration detectors,” says lead study author Heidi M. Appel, an environmental scientist now at the University of Toledo. Another hint that plants can hear comes from the phenomenon of “buzz pollination,” in which a bee buzzing at a particular frequency has been shown to stimulate pollen release. Michael Schöner, a biologist at University of Greifswald in Germany, who was not involved in the new research, believes that plants may have organs that can perceive noises. “Sound vibrations could trigger a response of the plant via mechanoreceptors—these could be very fine, hairy structures, anything that could work like a membrane,” he says. This research raises questions about whether acoustic pollution affects plants as well as animals, Gagliano observes: “Noise could block information channels between plants, for example, when they need to warn each other of insects.” So next time you turn on a leaf blower or a hedge trimmer in your garden, consider the lilies. Marta Zaraska is a freelance journalist based in France and a contributor to Scientific American. Roots Down, Shoots Up. But How Does a Plant Know Which is Which?